The organizing committee (London Organizing Committee of the Olympic Games and Paralympic Games – “Locog”) of the London 2012 Olympic Games had a unique challenge before them. They had to price over 8.8 million tickets (of which 75% would go on sale to the public) for 26 sporting events and ensure impartial affordable access to everyone planning to attend the event. What was more challenging was the demand uncertainty, as they had to price all events more than a year and a half in advance (March 2011) of the Games, set to begin on 27 July 2012. 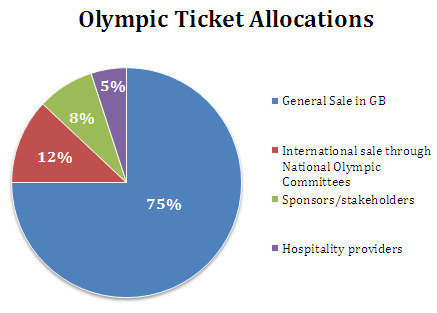 The London 2012 Chairman, Lord Coe termed it the “the daddy of all ticket strategies”. Tickets need to be affordable and accessible to as many people as possible. Fill the venues for all events. 90% of the public tickets would be priced at £100 or less, 66% at £50 or less, while 2.5m tickets would be priced at £20 or less. Increasing the number of pricing tiers to keep prices low while maintaining revenues. However, the tiers did not have a fixed number of seats. Those who bought tickets at a higher price were guaranteed better views of the sport. Demand at various price points helped ascertain the number of seats. In all, there were about 26 different pricing plans with details on how to promote and the target audience. Pay-your-age pricing plan for youngsters. There were approximately 1.3m tickets for youngsters 16 years or under at the start of the games who could pay their age in pounds. A Ticketshare scheme (120,000 free tickets – ‘prestige tickets’) was put in place wherein thousands of schoolchildren would get tickets. High and low, price points for the opening ceremony. No free tickets policy to prevent any public outrage. No bundling of tickets for popular and less popular sports. In the past, this strategy had been used at previous Olympics to increase sale of tickets sales and popularizing less known sports. However, ticket holders typically ignored the less popular sport. Public Transport was included in the ticket price plan to reduce traffic and increase participation. By January 2012, 3.8m tickets had been sold. Let the games begin!